Innocent. 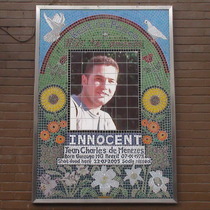 Jean Charles de Menezes, born Ganzaga MG Brazil, 07.01.1972. Shot dead here 22.07.2005. Sadly missed. 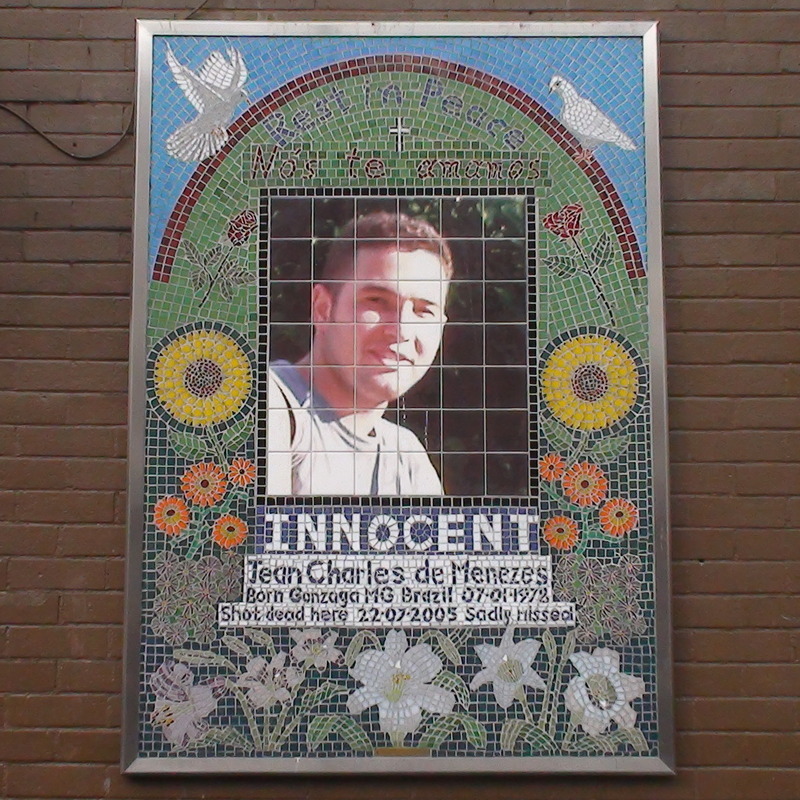 Unveiled on what would have been Menezes' 32nd birthday. This replaced the pavement shrine of flowers, candles, pictures and newspaper articles which had been here since the killing. Video and photos of the unveiling.